Mike Feiner has shaped the way companies understand the link between people, leadership, and business results, over the course of his career as a corporate executive, management consultant, professor and author. Mike's overarching philosophy is that, in order to grow a sustainable business, companies must first muscle-build their organizations by growing leaders and managers who can run the company they want to create, not the one they have. Mike's book, "The Feiner Points of Leadership", has become required reading and a practical guide on the hows of motivating and inspiring people to achieve great results. Mike is currently President of Michael C. Feiner Consulting, Inc., advising a wide variety of organizations, including private equity firms, Fortune 500 companies and fast growing start-ups. He guides boards & c-suite executives on business-driven human capital strategy and leadership effectiveness. Mike also coaches a select number of high performance leaders each year, including CEOs and those who are enroute to the c-suite. From 2010 through 2015 Mike was at Irving Place Capital as Senior Managing Director-Human Capital. While leading the firm's efforts to maximize the performance of its portfolio companies across a wide variety of sectors from retail to healthcare, Mike became known as "The CEO whisperer" for his ability to influence operating executives to build, galvanize and energize their teams. 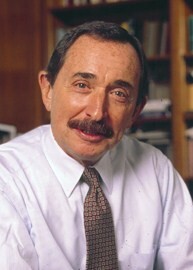 Prior to Irving Place Capital, Mike taught at Columbia Graduate School of Business for ten years as Professor of Management and Sanford C. Bernstein & Co. Ethics Fellow. Mike's High Performance Leadership class was consistently ranked by students as one of the schools most impactful and sought after courses. He was also the two-time winner of the Singhvi Prize, voted by students as "Best Teacher" for his dedication to teaching and ability to communicate knowledge and encourage students. Previously, Mike served as Senior Vice President & Chief People Officer for Pepsi-Cola’s global beverage operations. He is recognized as one of the key architects of Pepsi’s distinctive culture where he built and led a world-wide HR organization that gained a reputation as one of the most innovative and highly regarded in the world. During his 20 years at Pepsi, Mike was considered its in-house leadership expert and is credited with upgrading the company’s performance standards and organizational excellence. Mike holds a B.S. degree from Boston University and an M.B.A. from Columbia Business School. His book, "The Feiner Points of Leadership: The 50 Laws That Will Make People Want to Perform Better For You," was published by Warner Books in June, 2004. The Toronto Globe and Mail selected it as the “Best Business Book of 2004." Mike’s passion for developing great leaders makes him widely sought after by companies who find him to be an authentic, insightful and compelling speaker. He resides in New Rochelle, New York, with his wife. © Michael C. Feiner Consulting, Inc.